One of my favourite things to do on a Saturday morning is get brunch. Usually that brunch is at Allard’s Lounge in Tynemouth. However, there is a new contender for the top spot now, after we went to Post Box in Ponteland. 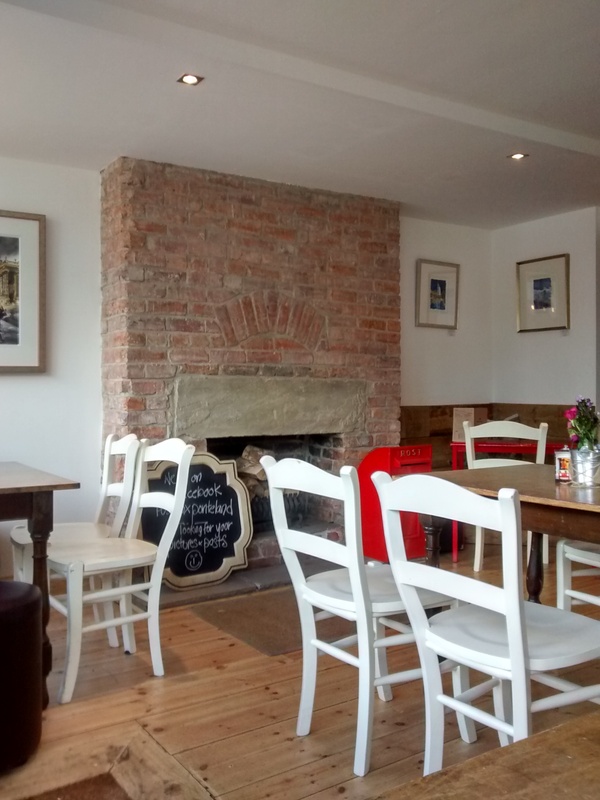 This lovely cafe can be found on Ponteland high street and serves breakfast all day, as well as lunch, afternoon tea and a bistro menu (on Fridays and Saturday), and events like book club, writing wednesdays and new mum mondays! We arrived at around 10.30am to a bustling cafe, and took a seat by the window. The staff were extremely friendly and welcoming, and there was a great buzz and atmosphere in the place. I love the simplicity of the interior with chunky wooden tables, neutral-coloured walls and red accessories. 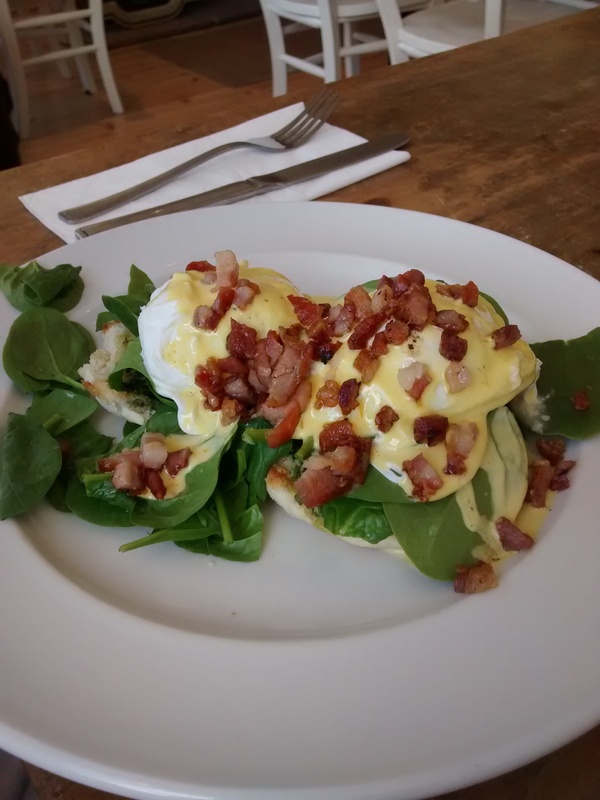 As soon as MrJ glanced at the menu, he knew what he was ordering – the Post Box eggs of a toasted muffin with poached eggs, hollandaise sauce and pesto, spinach and crispy pancetta. It was a very good choice! 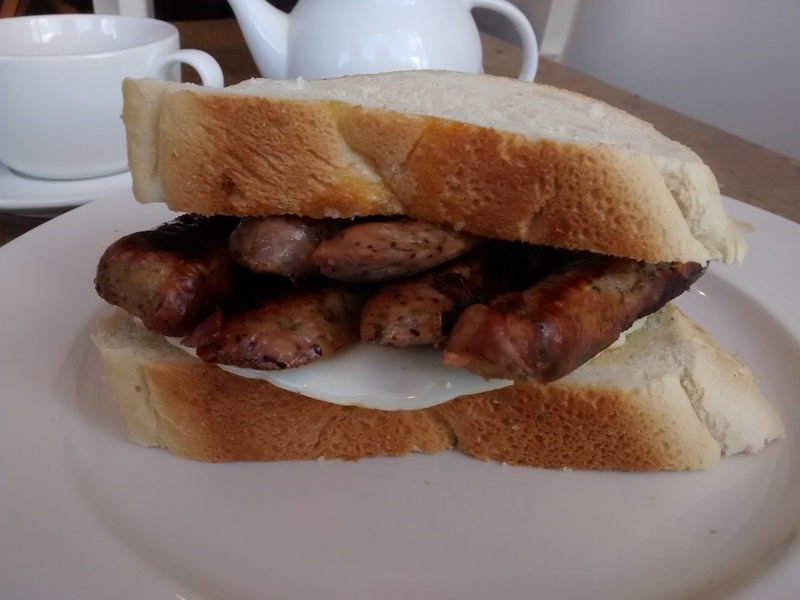 I ordered the Cumberland Sausage Sandwich, and added in the extra option of a fried egg. I thought the prices were very reasonable, especially considering the freshness of the ingredients and the size of the dishes when they arrived! The Post Box can be found at 11 Main Street, Ponteland. So desperate to try here! Luckily we’re moving house soon and won’t be a million miles away – a new local breakfast spot I think!